For the nature loving traveller! Ireland’s Wild Atlantic Way is home to some of the most beautiful natural habitats. As you travel along the rugged coastline and down our small Irish roads, you will come across a huge diversity of flora. 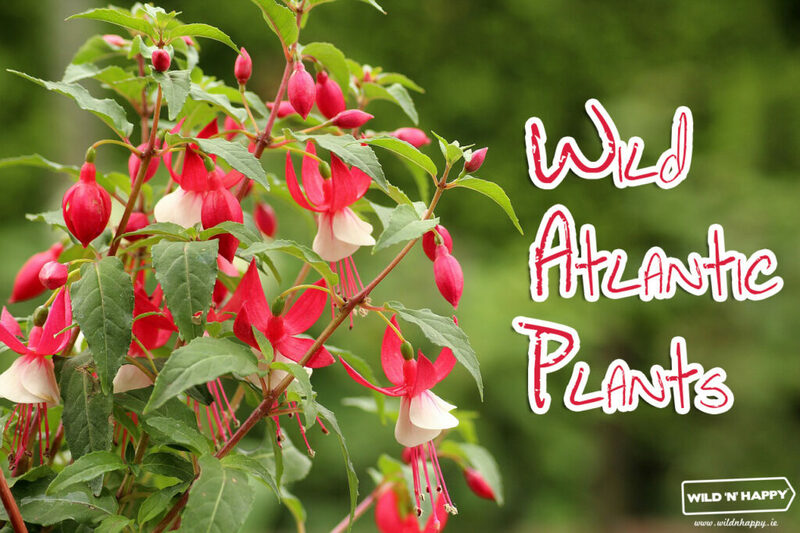 Here is a small guide to some of our most common and vibrant plants. 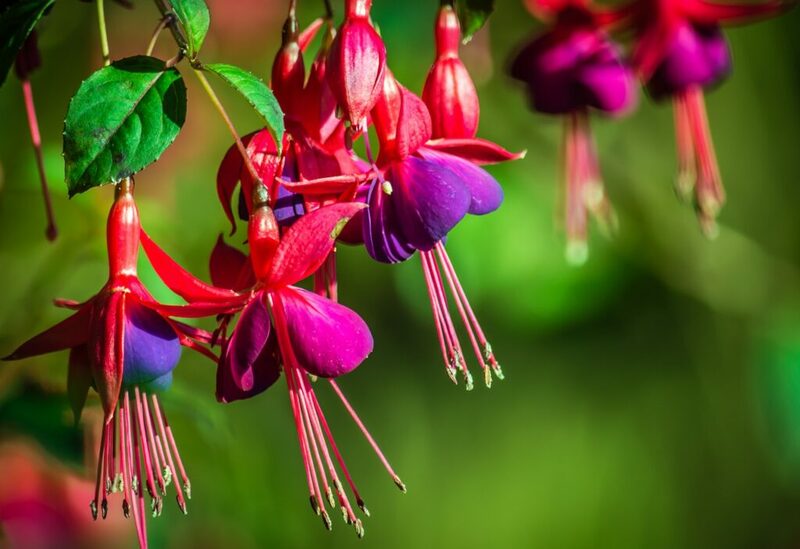 Fuchsia is a stunning colourful deciduous shrub with a beautiful crimson red flower. It flowers between July and October and you will notice it growing in hedgerows & rocky ground. Many small irish roads are peppered with the stunning flowering shrub and although it is not native to Ireland, over the years, we have embraced it and our landscape would be much less colourful without it! There are many different types of heather covering Ireland’s hills and moorlands. Heather is an evergreen undershrub that thrives in acidic soil. 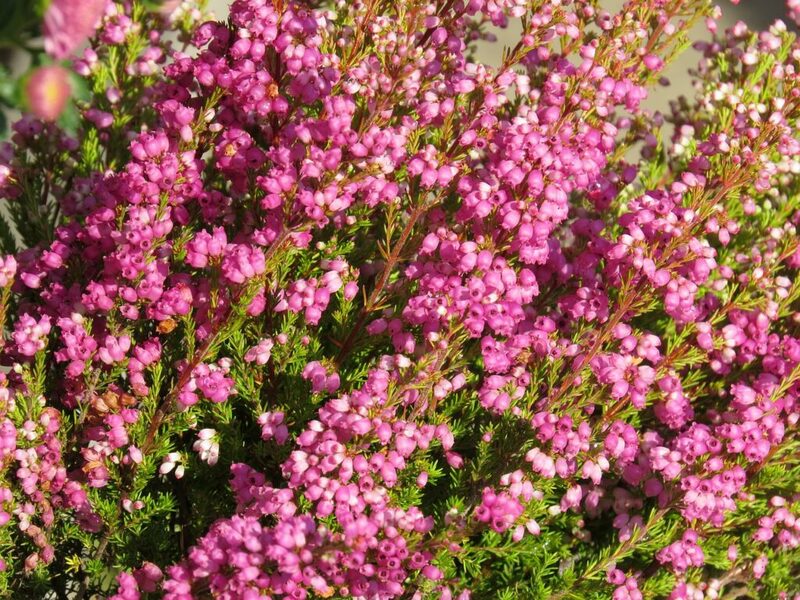 Bell heather flowers from June to September with a beautiful bell shaped pink/purple flower. The stem is covered in narrow dark green leaves in groups of 3. Although the flower is mainly pink/purple in colour, it may sometimes be found in white. If you find white flowered heather, it is considered lucky! Heather has been well used by humans over centuries as bedding material, brooms, fuel, baskets, thatching, sheep food and even flavouring for beer! It is also known for giving flavour and colour to honey. 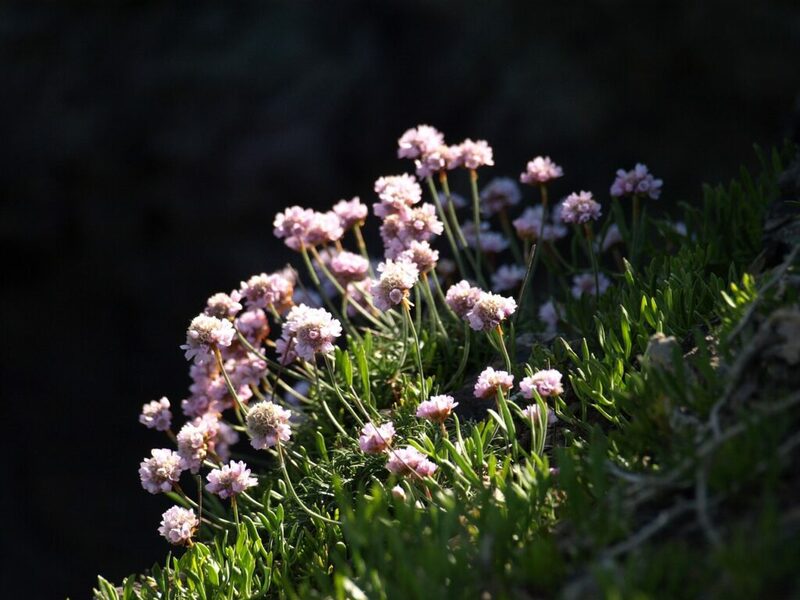 Sea Pinks (also known as ‘Thrift’ or ‘Lady’s Cushion’) a small evergreen plant with dark green leaves which grow in hummocks (cushions) close to the ground. It flowers a beautiful bright pink, red, violet or white flower in clusters from May to September; on leafless stems that can be up to 20cm tall. You will find them on the coast, rocky shores, cliff tops and salt marshes. The name ‘thrift’ derives from these very spartan conditions in which it grows. The leaves are tightly packed together and conserve water in the salty air. Our most remarkable native shrub, the rich yellow flowers light up the Irish landscape throughout the year. The stems are covered in tiny green spikes, these leaves have been modified over the years to rigid thorns to be able to withstand the harsh conditions of winters at high altitudes. These shrubs form many of our hedgerows around fields and they line our country roads. The edible yellow flower can be seen between February and May and is such a beautiful sight. It has a coconut aroma and can be made in to tea. 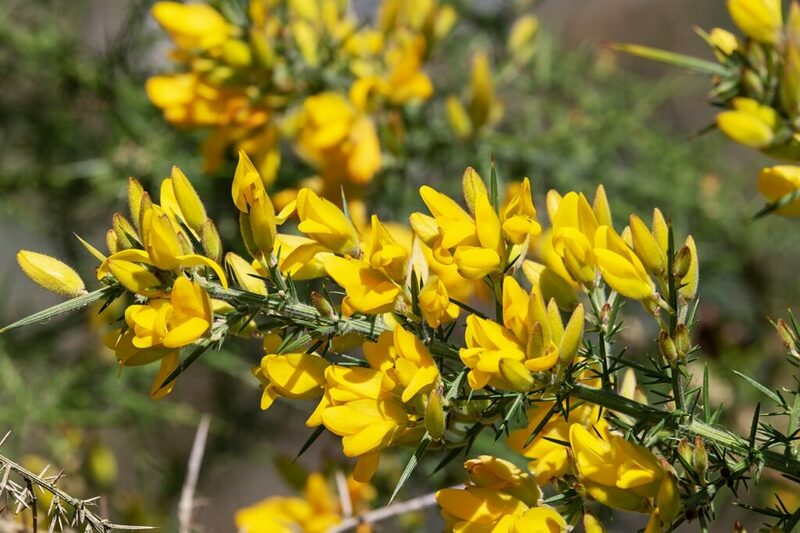 Gorse was especially important to people living in the Irish countryside as it was used for thatching roofs & provided excellent fuel for cooking. Next postWhy the Irish love sheep?